TL;DR: In October, 2017, the Internet Engineering Task Force (IETF) released the Best Current Practices (BCP) when using OAuth 2.0 with native mobile applications. This BCP states that OAuth 2.0 authorization requests from native apps should only be made through external user agents, primarily the user's browser. We'll discuss what this means for developers and users and any security considerations involved. 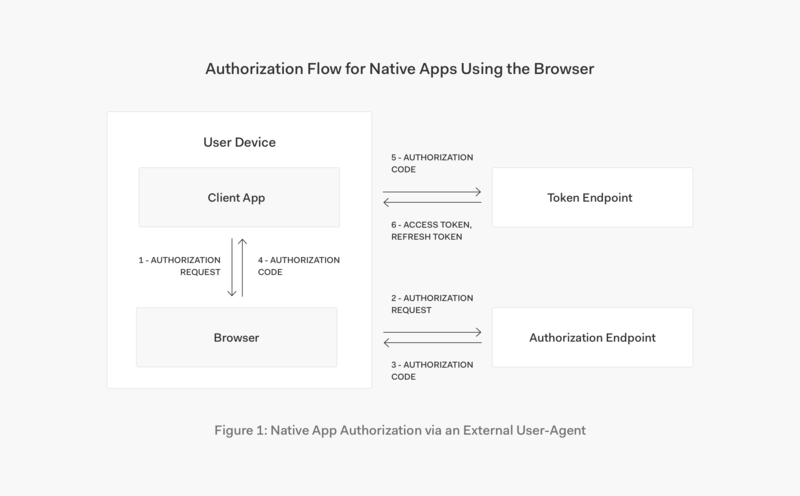 "Using the browser to make native app authorization requests results in better security." "Implementing external user agents in both web & native apps reduces complexity and increases interop." Auth0 provides a centralized login approach that adheres to the OAuth 2.0 Best Current Practice for native apps. Centralized login provides the most secure experience and is also easy to implement for developers. A URI is used to trigger an authentication request and the centralized login page is shown to users. This login page can use the Auth0 Lock widget or your own custom UI. After authorization, the user is returned to your app via your provided redirect. Auth0 provides extensive documentation to help you easily implement the appropriate flows to keep your apps secure and user-friendly as well. You can sign up for a free Auth0 account now and get started right away, or check out Auth0's pricing here.